When I first became a school librarian, I bought a teacher planner at a teacher store. 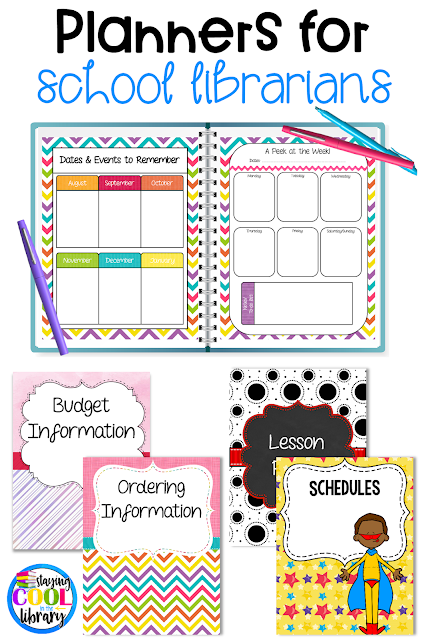 I loved the bright colors and cute graphics and thought it would keep me organized all year. Unfortunately, I quickly found out that the planner was made for classroom teachers, not librarians. I tried a few others over the years, but nothing worked for my specific needs. I do not need to keep track of student data or their IEP information. So that's when I decided to make my own. I could customize it any way I wanted and only include pages that would help me. Once I realized how much I loved the planner I wanted to share it with other librarians. So I added it to my TpT store and it quickly became my best-selling product. When I sat down to create the planner, I started by making a list of all the things I needed. Before I knew it I had quite a lengthy list. I wanted to include not only calendars and lesson plan templates but also the forms and papers that I would use all the time (like the collaboration pages and the discipline reports). What is in the librarian planner? The librarian planner is over 300 pages. It includes a .pdf document as well as many editable pages. I have had customers tell me that I included pages that they didn't know they needed until they bought my planner. And what's great about a digital product is that you only print the pages that you need. So what is in the planner? Two-page calendars for each month as well as some weekly and monthly planning forms. There are 3 different templates: 6 subjects, 7subjectst, and 8 subjects. Parent/home contact log - keep track of when you call parents about a student. In my school teachers document every parental contact in PowerSchool, but specials teachers do not. Library discipline report - fill this form out and send it home with the student when there is a behavior incident in the library. There is a place for a parent to sign. This way you can make sure that the parents are notified about problems their child is having in the library. Behavior log - fill this form in with any discipline or behavior incident that occurs in the library. Reports - keep track of your circulation statistics, library activities, classes visiting the library, books added/deleted and fees collected. Surveys - 2 staff surveys to find out how teachers use the library and ways the library can support classroom instruction. 5 student surveys - the surveys can be used with multiple grade levels including your youngest students. They mostly focus on their reading interests. Booked for Birthdays - This is a very popular program with parents that I use every year. Parents will pay for a birthday book for their child. The book is a library book but it has their child's name inside. There is a letter to send home to parents about the program and pages to keep track of what students are participating in the program. These are the forms I use in my library. They are editable. And many more: password list, volunteer list, to-do list, professional development tracker and meeting notes. There are many pages that you can edit yourself. When you purchase the planner, there is a separate folder for the editable PowerPoint pages. You can only open these files with PowerPoint. I embedded all of the fonts into the files so you do not need to download them to your computer. Once you open the file you will click where it says "edit text" or in any section that has a text box. 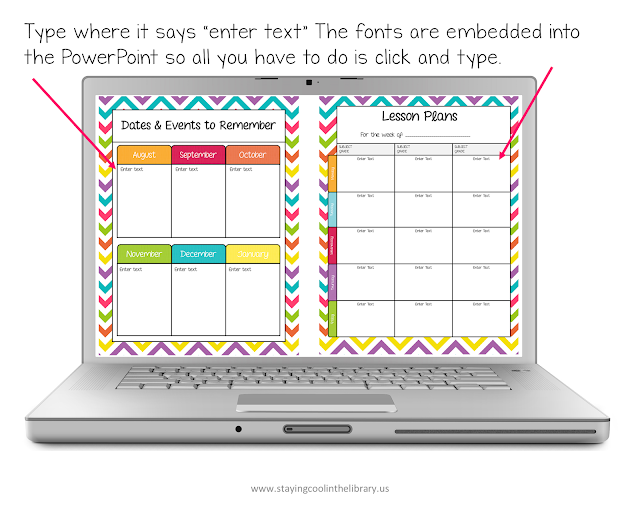 You can add your own text, change the wording or use a different font or color. Note: none of the images in these pages can be changed. The only thing that can be edited is the text (this is due to copyright restrictions). They are all identical in content, just have different colors, backgrounds, and graphics. The black and red planner has some slight differences than the other three. This is a more print-friendly option if you need to save on color ink. And there are fewer pages because there are no color options. Everything else is identical. All of these planners can be purchased from my website or my TpT store. "I have been looking for this for YEARS!!! 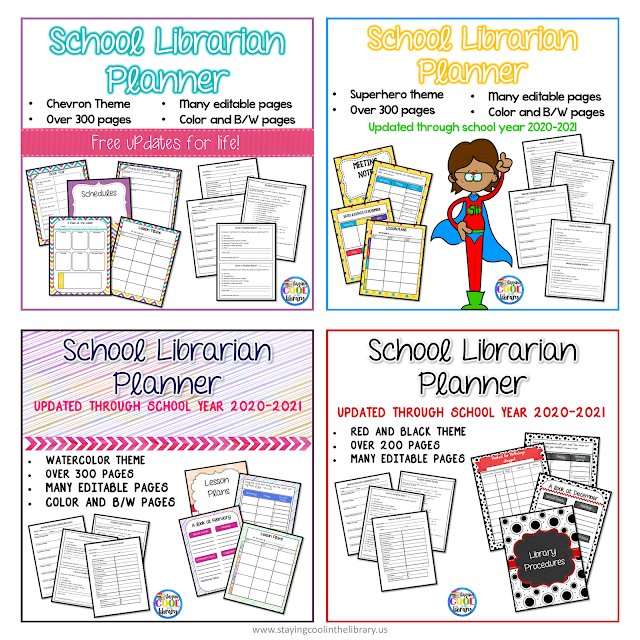 I needed a way to be organized, but you Librarians know that the teacher planner isn't always the perfect resource. Well, Librarians, LOOK NO FURTHER!!! This is the DREAM planner. I literally salivate over it when I open it. I almost want to sleep with it, I love it that much. GOODBYE UNORGANIZED LIBRARIAN!! :)"
"Love, love, love. This is a great resource. You included many items I've had vague ideas of implementing but hadn't fully realized (like the birthday book club). This will be perfect for getting myself more organized this year." "I love this! I've had such a hard time finding the perfect planner this year. They never have just the right things or they are ugly. I was really surprised how many options you included. I'm really fond of the fact you gave multiple versions of planning sheets. I'm a librarian in a K-8 STEM school and what works with isn't the same as what works with 4-8. Great product!" "Wow, after many years as a media specialist, I am so glad that I've found you. This is more than I could ever use, but everything I have ever wanted! Thank you!!!" "This bundle is amazing! I purchased it last year to help keep me organized and it did not disappoint. I loved being able to use the existing binder covers and pages but also being able to customize the covers that were not included. There were some pages that I didn't use so I just didn't print them out. Each year is different so I appreciate having the updates so I can reprint as needed. It's difficult to find quality library materials and resources and this is perfect. 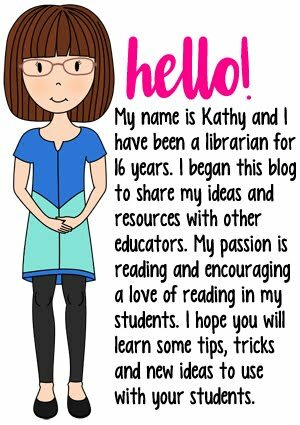 I also have a Google Slides planner and one for Australian librarians.